Kalamazoo Roofing Contractors; We Install Roofing in Grand Rapids, Battle Creek and West Michigan, too. BlackBerry is one of the area’s most trusted and professional roofing contractor and roofing repairs companies serving the Kalamazoo, Grand Rapids, Battle Creek and all of southwest Michigan. Which roofing product is right for my home? What factors do I need to consider when choosing new roofing? Your local Blackberry representative will help you answer these and many other questions, so call us today at 269-353-8844 or click “Schedule a Consultation” below to schedule your no-obligation, in-home consultation. Will asphalt/fiberglass shingles provide the best value for roofing my house compared to metal roofs? 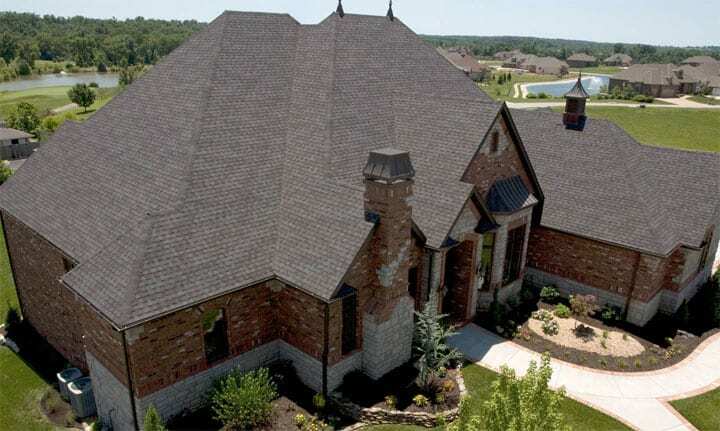 Yes, with the advanced shingle technology the last 25 years in asphalt/fiberglass shingles, they offer 50 year and limited life time warranties. At less than half the cost of a steel roof that has a painted finish; these products are more architecturally appealing with great color selection, and they don’t present the danger of heavy snow sliding down in our Michigan winters. Usually 2 to 3 days with cleanup and disposal. Steep pitches and roofs with numerous valleys, dormers or multiple roof levels will increase the time to complete. When I am hiring a roofing contractor, what should I consider? Full removal and disposal of the existing roofing. They have included ice and water shield protection in all valleys, eave lines and wall intersections per building code. As well as underlayment and flashing. They have discussed and are providing adequate attic ventilation at the gables, soffit, and ridge vent as required. They have obtained a building permit if required. We’ve been providing the entire West Michigan region with Owens Corning roofing products since 1980. 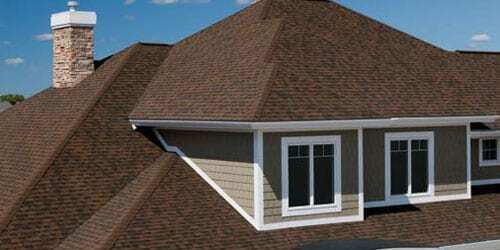 A quality roof is the most important element to protecting your home. You’re dependent on your roof system for protection from rain, wind, and snow! Our experienced design professionals will come to you and inspect your roof prior to providing a free estimate. Our designer will look at all critical elements including drip edge replacement, ice and water shield to protect eaves and valleys, rotted wood replacement, attic and soffit ventilation, chimney and wall flashing details. We’ll help you to select the right roofing product, style and color for your home. Our manufacturer-certified roofing installers will treat your property with care and respect. The proper procedures will be used to protect your home during the tear-off and disposal of your existing shingles, as well as the installation of your new roofing. We work quickly to avoid our always-changing West Michigan weather and will have your home well-protected during the construction process. We’ve completed thousands of roofing projects in Kalamazoo, Grand Rapids, Battle Creek and St. Joseph, Michigan, so you can trust you will have a job well done!